Our utilisation of space and the extension of our bench top over the lux bath tub is an excellent example of space saving techniques. Its a great way to lengthen and elongate an particular zone. It acts as a countertop for holding needed items on a day to day basis and also acts as a place holder to keep things safe while bathing. Eurhythms Ensuite, Coogee featuring tiles from Tera Novem and tub from Candana. 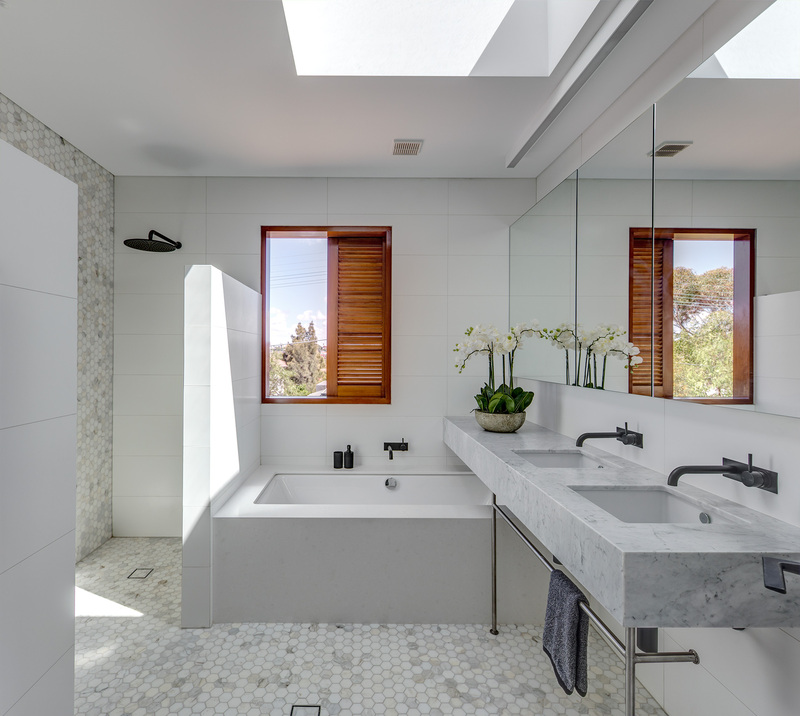 For more on our Coogee bathroom and to read the Spanish edition of Houzz, follow this link.